What are your questions for mayoral candidates? Help us with interviews! 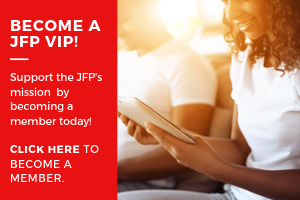 Here at the JFP, we are going into the final push of the city election season before the primaries on May 7. We are still finishing mayoral candidates' JFP interviews (with the goal of doing one for each of them!) and we will be doing additional endorsement interviews with the candidates we deem to be the most competitive in upcoming weeks (starting this week). We want your help, though. Tell us the questions below that you would ask either all of the candidates or a particular one--include the name(s) if so. We need your input so please take time to weigh in! Considering the large amount of untaxed property owned by non-profits and churches, would you, as Mayor, consider meeting with the non-profit and church community and asking them to voluntarily make PILOT (Payments In Lieu Of Taxes) payments to the City that would go toward infrastructure improvements (particularly street paving)? Interesting question, Knowledge. We don't know if this has been done, but we can certainly ask. I would like to know if any of the candidates had any ideas on lowering car tag cost and what would be an alternative for raising the revenues needed for the city, if they had the ability to lower the ad valoreum taxes on vehicles? So to sum up it - lower car tags, where do you make up the difference for the lost revenues? That's my biggest issue with living in Hinds County. "According to a report by the Lincoln Institute of Land Policy, nationwide, the tax exemption for nonprofits could total as much as $32 billion. The report – the most comprehensive account of PILOT programs in use – said that since 2000, 117 cities and 18 states have used PILOT programs to increase their revenues. While PILOTs remain a revenue source worth pursuing, it must be methodical and justifiable, correcting processes that have been haphazard, secretive and ad hoc." On the Hinds County website, there is an 'Estimated Taxes' link. If non-profits and churches would put in the value of their property, they would see how much that would have had to pay in taxes in they were not tax exempt. Then they should ask whether or not there is more they can be doing in order to help their City move forward. It doesn't hurt to ask! I would like to know if any of the candidates would REQUIRE and ENFORCE that ALL Jackson Police Department and Jackson Fire Department live within the City of Jackson. Currently many JPD/JFP live outside of the city, which I think is not good for emergency personnel. They make their money from the City and take it to another municipality...Example: property taxes, car tags, sales taxes. Wouldn't this make more sense to help contribute to making things better as well as give them a little more pride in the City that pays them? The "Jackson Plan," according to a "Malcolm X Grassroots Movement" was the "brain child of the Jackson People's Assembly". Chokwe Lumumba is the co-founder of that organization and takes credit for his successful election to the Jackson City Council representing Ward 2. If elected Mayor of the City of Jackson, will he be able to represent the entire City with all of its citizens? What are his duties and responsibilities to the MXGM? This Organization seems to be sublimated by Mr. Lumumba now that he is a candidate for Mayor: the question is, "Why and what are you hiding?" hey why not make them candidates release their health records my cousin works at the hospital where one goes and tells me one of em comes in for treatment of some serious stuff and everybody there is talkin about it and the liberal media is not. Its the one who's name i cant pronounce, he says the people must decide but how they gonna decide if he dont tell the truth. TheRisingSouth obviously is not a fan of HIPAA.